привет from Russia. As you guys know, I travelled to Moscow last week and Ireally had an unforgettable time. I’ve visited so many beautiful spots and places I want to share with you. Today’s blog post is going to be my personal travel guide for Moscow with insights on where to stay, where to eat and what to see. To enter Moscow, you will definitely need a visa. Make sure you apply for one well in advance. During periods of high demand, it will take up to 2 weeks until you receive it. You can apply for your visa via agencies like http://visa-plus.de. Public transport is rather cheap in Moscow. The most popular method of travel is the metro. It allows you to get to pretty much anywhere in the city, especially during peak travel periods. Although it is the fastest way to get around, it is definitely not the easiest, when you don’t speak Russian. I found it almost impossible to travel by metro, because there was no information in Englisch. I prefer to take an Uber or a Wheely. It is super easy and you can already book certain rides in advance ( very convenient for airport rides). Whenever I travel to Moscow, I love staying at the Hyatt Ararat. It is the perfect hotel after long sightseeing and shopping days. It is situated in the very heart of the city, a short walk away from the historical sights, such as the Kremlin, Red Square and the Bolshoi Theatre. I always like to stay at hotels that are located in the city center. It is way more fun to discover a new place by foot. Hyatt Ararat : A beautiful and elegant 5-star hotel. My personal favorite. Hotel Metropol Moscow : A wonderful 5-star hotel where historical luxury and elegance meet technological solutions. Four Seasons Hotel: An iconic luxury hotel, a few steps away from the Kremlin and Red Square. The Ritz-Carlton : A historic and extremely elegant 5-star hotel. Although these hotels are all very luxurious, prices in Moscow are still quite affordable. When it comes to shopping, Moscow is pretty diverse. It has something to offer for every budget from high-fashion brands to street fashion. Over the last couple of years though, the attitude towards shopping has changed. The city is undergoing a fashion and style transformation. A younger fashion and streetwear scene is taking over and is experiencing an extreme hype. Young Russian brands and new concept stores are definitely on the rise. 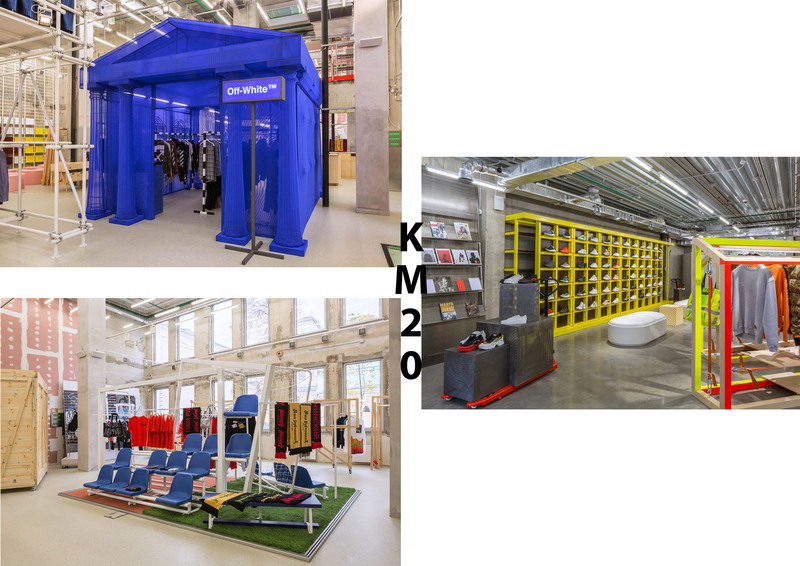 KM20: KM20 is one of the coolest concept stores you will find in Moscow. It opend its doors in 2009 and was founded by street style icon Olga Karput. I really love her remarkable style and Instagram account. KM20 is bringing international brands, such as Raf Simmons and Off-White into Russia, while also focussing on local designers, including Gosha Rubshinsky and Vika Gazinskaya. The whole store set-up reminded me of Dover Street Market. It is a great shopping experience, with interesting arrangements and art in every corner. KM20 sells anything from streetwear to beauty brands,books and small gadgets. I really like the mix of established and young aspiring brands. KM20 regularly teams up with brands such as Off-White, Vetement or Heron Preston and creates exclusive capsule collections. Tsvetnoy Central Market: Tsvetnoy Central Market is a super cool food, luxury retail and restaurant space. The department store has only opened recently and is a paradise for food and lifestyle lovers on seven individual floors. Tsvetnoy sells brands for every taste and budget and combines internationally known designers with young and urban local ones. You will find anything from Comme des Garçons, No21 and Rick Owens, to Maje, Sandro or The Kooples. Tsum: Tsum is a solid Russin department store and the most renowned in Moscow. It reminded me of Galerie Lafayette or KaDeWe, selling high-end designers in a huge six-story building. Gum: Gum is another giant department store facing the Red Square. Whenever you’re there, make sure to try the famous Russian ice cream. This is a MUST – the taste of it is really a special one. When it comes to food, Moscow offers great culinary opportunities and an interesting cuisine. The city has understood the demand for healthy and fresh food and always offers a separate menu for vegetarians and vegans. 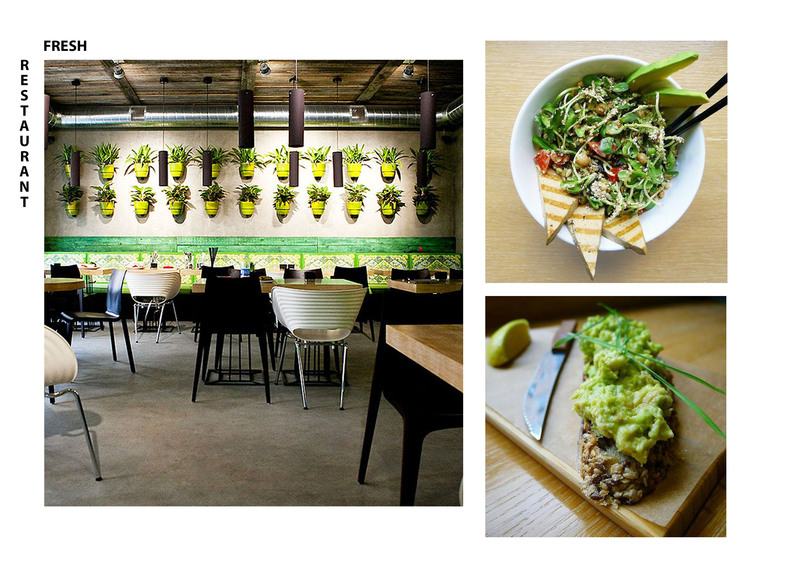 Fresh: Despite not being neither vegan nor vegetarian, I can only recommend visiting Fresh for a good old avocado-toast or a smoothie in the morning. The restaurant offers a great selection of healthy food, including fresh juices, burgers, bowls and cake. I really liked the urban and relaxing atmosphere. 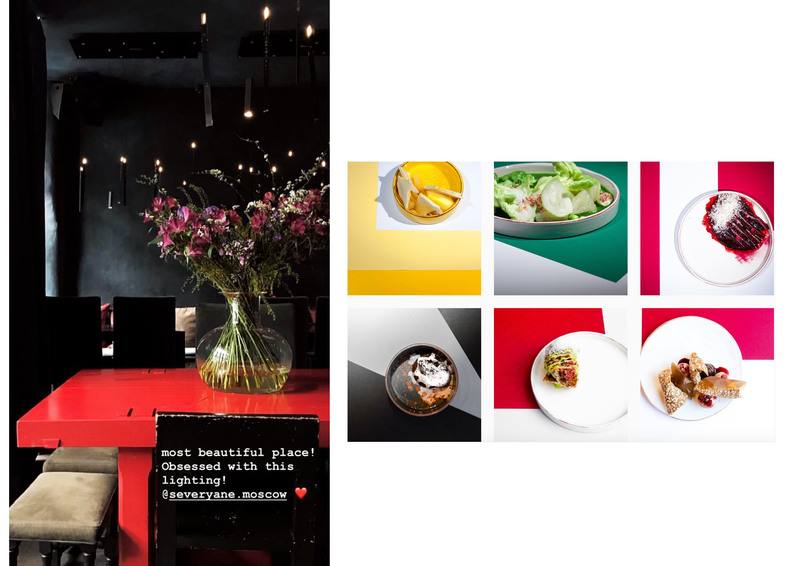 Severyane: I visited Severyane restaurant for the first time throughout my stay in Moscow and I am absolutely in love. I was so obsessed with breakfast in the morning, I just had to go back for dinner. This restaurant is known for its unique menu built around a traditional wood-burning oven, offering the most delicious slow-roasted dishes. The design of the place is minimalistic, with urban and rustic touches. The food was excellent, the price however unbeatable. I enjoyed that many guests were local and the way the restaurant combined traditional Russian food with international dishes. Plus: they serve breakfast until 4pm. 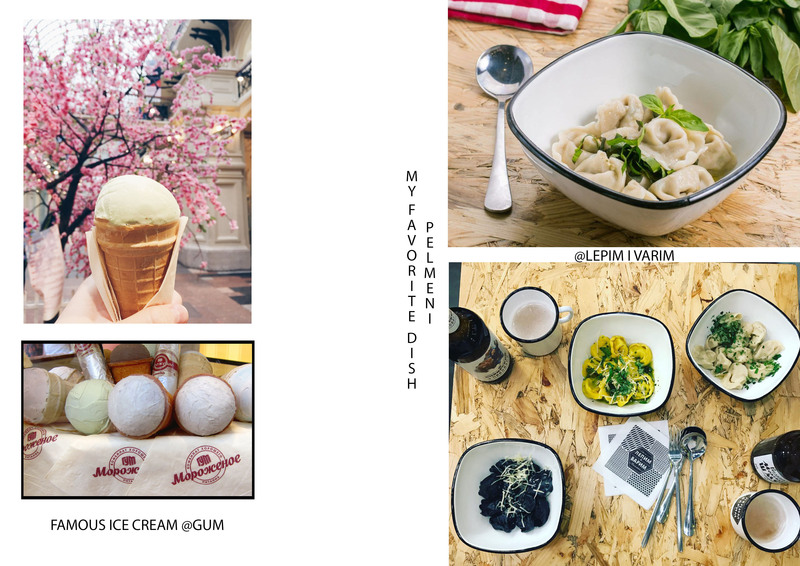 Propka: If you’re into Italian food, Propka is the place to visit in Moscow. The food was extremely tasty and I really enjoyed the friendly and relaxed atmosphere. Plus: I’m really into open kitchens. Lepim i Varim: Those of you, who follow me on Instagram , might have noticed my latest obsession with pelmeni ( a filling made out of meat or potatoes wrapped in a dough and boiled ). If you want to try the best pelmeni in town, make sure to visit Lepim I Varim. It is the most famous place in Moscow for fresh and handmade pelmeni. Café Pushkin: Café Pushkin is one of Moscow’s legends. It is one of the oldest and most traditional restaurants you can find. It is open 24/7 and offers local cuisine such as borsch, pelmeni and blini, as well as international breakfast and delicious cakes. Definitely a MUST. Vogue Café: Inspired by the Vogue magazine, Vogue Café is a beautiful place to enjoy a nice coffee and delicious cake in the afternoon. During my stay, I visited one of Moscow’s main sights, the Bolshoi Theatre. It was a very special and unforgettable night.The Bolshoi is the most famous and important theatre in whole Russia that holds ballet and opera performances. It is the pride of all Russia and by far the biggest and oldest ballet company in the world. 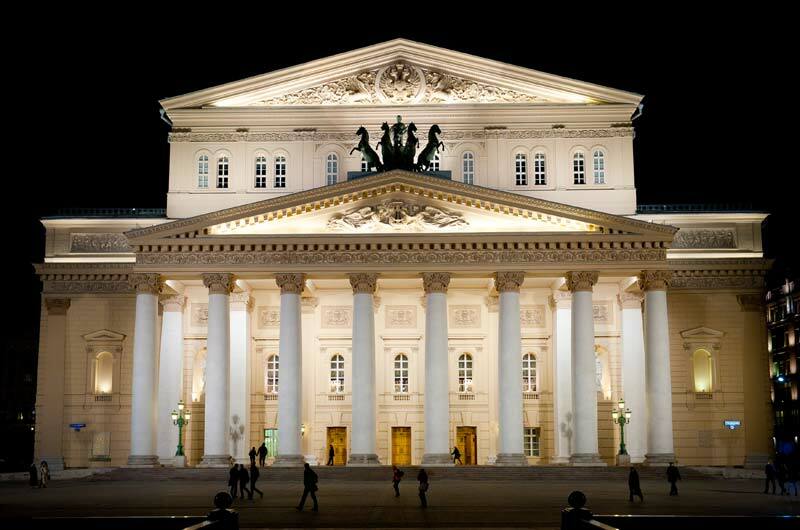 Seeing the ballet at the Bolshoi definitely is an elementary part of a trip to Moscow, as well as visiting the Kremlin , Red Square and St. Basil Cathedral. I had an amazing time and can’t wait to travel to Moscow again. Have you guys ever been to Moscow? Let me know! Lisa Hahnbück is a lifestyle, travel and fashion blog from Düsseldorf, Germany for women who love fashion and the latest trends and must haves of the season. Danke meine Liebe, leider war ich bisher einmal in St. Petersburg und meine Tipps sind nicht wirklich vorhanden. …jetzt freu ich mich noch mehr auf Москва ! Vielen Dank für deine Tipps, bin mega gespannt. Thanx for the post. Cool read. I am defiantly going to check out some of those concept stores when I visit Moscow in July.